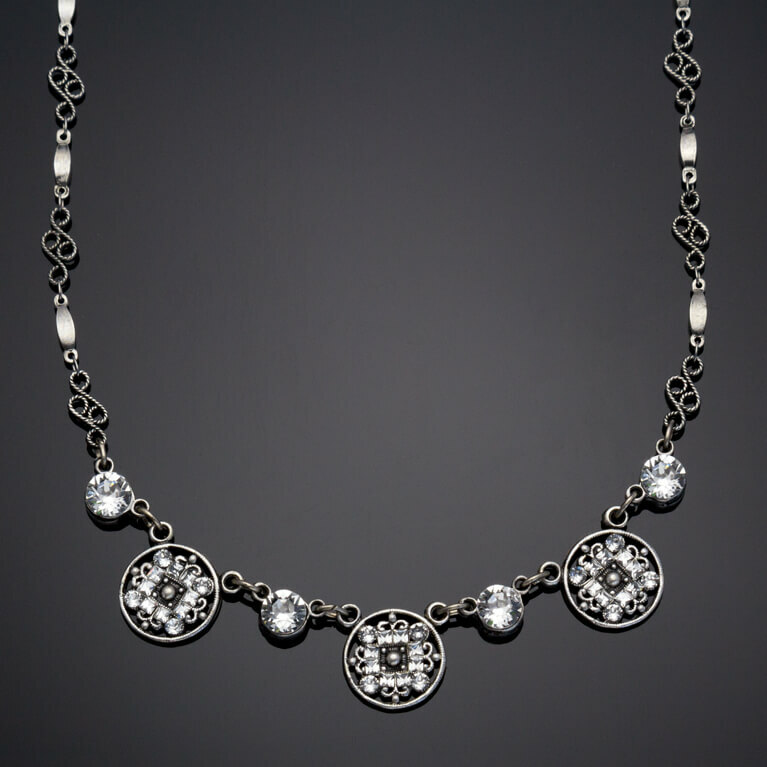 This silver plated handcrafted necklace has many shapes and Art Deco inspired elements of design, including filigree, swirls and circles. 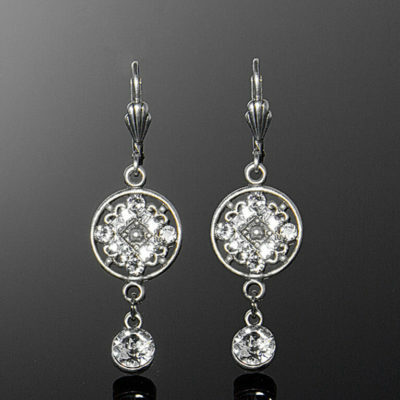 It is adorned with medium and small Swarovski crystals, which makes it substantial, yet delicate. 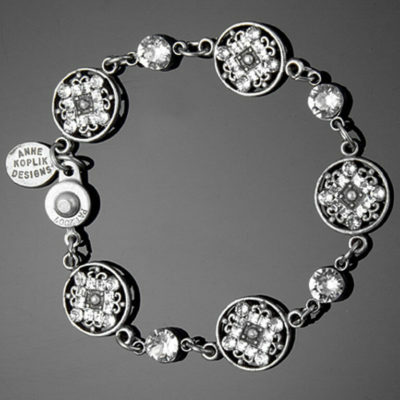 The perfect piece to accent that perfect dress.